Residential Composition Tile Roofing Service | Northwest Roofing Service INC.
Northwest Roof Service Inc. is a Owens Corning Roofing Preferred Contractor. 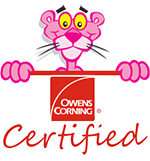 Owens Corning has been a recognized leader in the building industry for over 70 years. In fact Owen Corning is America’s #1 roofing brand. One of our most recommended composition shingles is the Owen Corning TruDefinition Duration Shingles with SureNail Technology. These shingles come with a lifetime warranty. Featuring a tough, woven engineered reinforcing fabric to deliver consistent fastening during installation. A unique “triple layer” of reinforcement occurs when the fabric overlays the common bond of the shingle laminate layers that offer excellent fastener holding power. Our enhanced Tru-Bond sealant grips tightly to the engineered fabric nailing strip on the shingle below. Specially formulated, wide adhesive bands help keep shingle layers laminated together. The industry’s first asphalt roofing shingle engineered to deliver 130-MPH wind warranty performance with only 4 nails. 33% fewer nails are required for maximum warranty protection, which can mean fewer deck penetrations. This is your chance to choose a roof that not only has outstanding performance, but also has exceptional beauty. So for years to come, you’ll feel great every time you pull in the driveway. 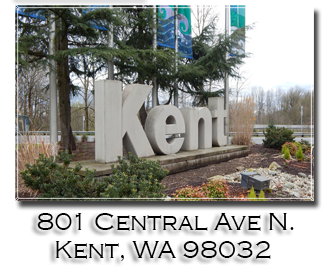 So give Northwest Roof Service Inc. a call so we can together top your roof with the best for what ever you budget line may be. Call now for a free estimate!